A group of “anti-fascists” are planning to forcefully “shut down” Breitbart News Senior Editor MILO’s event at UC Berkeley on Wednesday, branding him a “tool of Trump’s fascist government,” while criticizing free speech, which they put in quotation marks, for allowing MILO to express his political beliefs uncensored. “Milo is a tool of Trump’s fascist government: He has no right to speak at Cal or anywhere else! Shut Him Down,” declared the protest announcement email, which was forwarded to Breitbart Tech. 1. People who protest Milo are not opposing free speech, they are opposing a fascist America, which is the actual, real, and gravely serious threat to basic rights of speech, assembly, and intellectual life. Milo Yiannopoulos is an editor for Breitbart. He is a tool of a government that accuses the press of being “fake news” when they deviate from or criticize the Trump lies; that has already begun criminalizing protest, demonizing dissent, and attacking science. Trump has advocated severe penalties for flag burning, which is protected speech. What Milo is working for is not free speech, but to normalize, legitimize, and help consolidate the Trump-Pence regime – which is already marching down the path of crushing all dissent and all ideas that oppose it. 2. Students who oppose Milo are strengthening the role of universities as places where dissent, critical thinking and the search for truth can flourish. Milo’s bad boy attack on ‘political correctness’ is a ruse. In fact, Milo & the government he serves don’t like the ‘political correctness’ that has some currency in universities today because they want to replace it with their own, fascist, state-enforced ‘political correctness.’ This is a government that opposes science, and openly discards facts and then defends its lies as ‘alternative facts.’ In under a week, they’ve moved to wipe out all mention of climate science & climate data from the Environmental Protection Agency’s website! Legitimizing Milo’s tour is part of changing universities and intellectual life and science to serve fascist order. Students who fight to shut down Milo strengthen the struggle against this order and strengthen dissent, critical thinking and genuine intellectual inquiry. Think of what is going on in the world – just this past week, this government has banned refugees, attacked Muslim immigrants, greenlighted the destructive Dakota Access Pipeline, slammed shut access to abortion for women all over the world, and threatened both the press and the UN to fall into line or face consequences. The group, who operate under the name “Refuse Fascism,” plan to meet at the MLK Student Union on campus at 5pm, February 1. 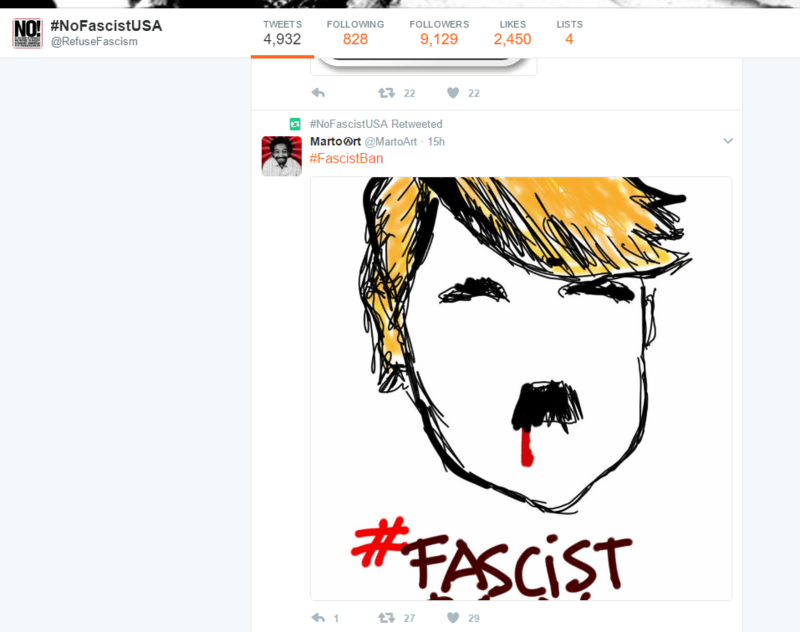 On their official Twitter account, messages declaring that fascists “will not be tolerated,” and violent retweeted pictures of President Trump bleeding can be seen. Despite the “anti-fascists” attempt at directing harassment towards the College Republicans and MILO event organizers, it was revealed that several of the affected students were not even associated with the group or event— despite having their personal information posted online by the left-wing group while being branded “white nationalists.” The anti-fascists did not issue an apology. Following a demand by dozens of UC Berkeley professors to have MILO banned from the campus based on his political views, a group of Berkeley Free Speech Movement veterans defended the Breitbart senior editor, criticizing those professors and students who sought to use fascist tactics in an attempt to block his speech. MILO and the David Horowitz Freedom Center have partnered to launch a campaign against “sanctuary campuses” that shelter illegal immigrants from being deported. 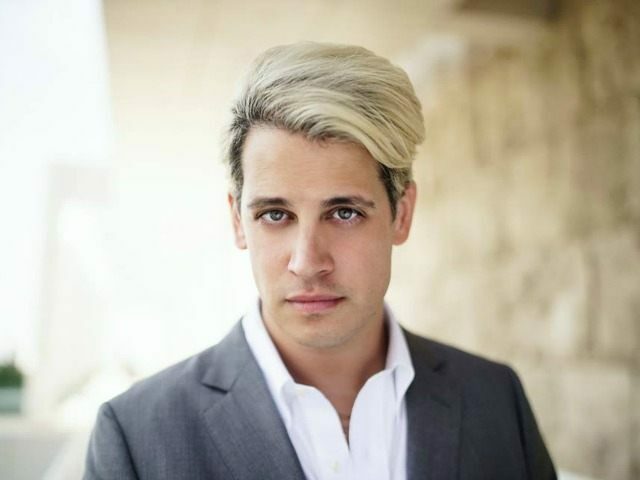 The campaign will be launched with a speech from MILO at UC Berkeley.